For a stress-free Colorado ski trip, stay at Ski Town Condos Vacation Rentals, just minutes from Monarch Mountain ski area with incredible ski packages. 5-Day Colorado Winter Package $347 to $378 per person quad occupancy, till April 14, 2014! (+6.8% tax). This incredible winter package for $1512 + 6.8% tax includes 4 nights lodging in a 2 bedroom condo, 8 adult lift tickets at Monarch Mountain, two-hour snowmobile tour, & natural hot springs passes for 4 guests! old time ski area feeling. Monarch lacks the crowds with enough steep runs and snow to keep even the seasoned powder hounds happy. Monarch shines in almost every category. Pull into the parking lot and you are steps from the slopes. 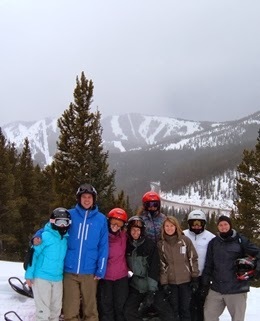 Call today to make your Colorado Ski Trip reservation at 719-539-7928 or visit www.skitowncondos.com. For a stress-free Colorado ski trip, stay at Ski Town Condos, just minutes from Monarch Mountain ski area with incredible ski packages. 5-Day Colorado Winter Package $347 to $378 per person quad occupancy, till April 14, 2014! (+6.8% tax) This incredible winter package for $1512 + 6.8% tax, includes 4 nights lodging in a 2 bedroom condo, 8 adult lift tickets at Monarch Mountain, two-hour snowmobile tour, & natural hot springs passes for 4 guests! Families love staying at Ski Town Condos and are drawn to Monarch Mountain for ski deals with an old time ski area feeling. It lacks the crowds with enough steep runs and snow to keep even the seasoned powder hounds happy. Monarch shines in almost every category. Pull into the parking lot and you are steps from the slopes.